Ask Anna: Retail Prices — Anna Akbari, Ph.D.
How are retail prices set? And why are some designers so expensive? For contrast, take any brand stocked at a high-end department store – we’ll use Diane von Furstenberg at Bloomingdale’s, for example. This wrap dress, at least on a visual level, isn’t really much different from something you might find at, say, an H&M or maybe ASOS. It’s a typical, pretty, patterned, feminine dress – many stores might have a version or an iteration of it or something similar, give or take a few inches from the hemline. The reason why some women will buy the dress at Bloomingdale’s and some will buy it at a fast-fashion store has a lot to do with branding, and therefore, price ranges. The woman who sees herself maybe as a bit more upwardly-mobile or professional, or the one who fancies herself as a luxury shopper or label-conscious fashionista, is going to go for the DvF dress because it will add to that image she has of herself. Part of it is the brand name, part of it is the price tag, and part of it is the association she has with the brand name because of the price tag. Of course, it doesn’t have to do completely with self-image, and the same options aren’t available to everyone. The entire idea behind the “fast fashion” concept is that stores like H&M, Zara, ASOS, and Forever 21 is that they’re able to sell very on-trend clothing at low price points. In this sense, they do a great thing: they democratize fashion amongst the classes and allow a cross-section of demographics to appreciate style, at least on an imagistic level, no matter what her price point or budget. However, there’s a catch, and one more big difference between the DvF dress and our fast fashion option: quality and durability. 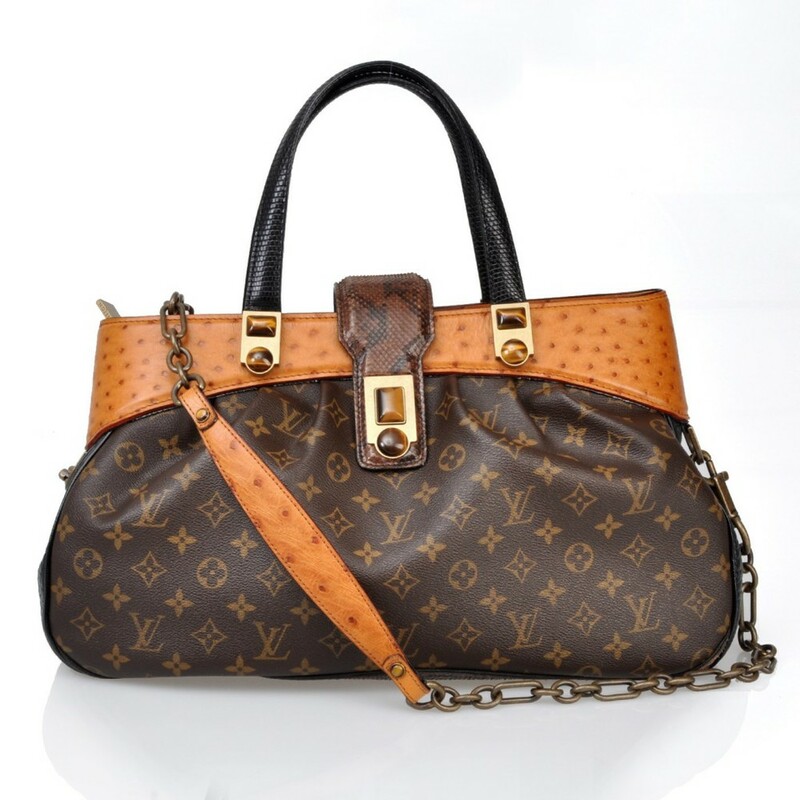 Luxury or high end clothing, such as Chanel or Louis Vuitton, are often hand-stitched with high end fabrics and thread and made in very small numbers. The time and quality of materials that goes into their products and the limited quantity produced demand a significantly higher price point. This, in combination with the name brand recognition, allows the piece to reach its sky-high price tag. Cheaper clothing, like our fast fashion stores, is purposefully not made to last as long – hence “fast” fashion. Stores like this don’t have to attract the customer with particularly refined fits and stitching because they specialize, generally, in clothes that are really “stylish” or on trend at the time. The clothes don’t need to be well-made, because they want it to be at a low enough price point so as to be more accessible to the masses. The clothes need not last very long – they aren’t “investment pieces,” but rather, often times, “disposable.” This gives H&M great turnover and an ability to restock their store literally within the week with new, flashy items. But, that does mean the quality of the clothing will be slightly compromised. Think about it this way: when you saw that rhinestoned blazer or asymmetrical skirt, you knew you loved it, but that it wouldn’t still look fashionable ten months from now. Maybe that would’ve been reason enough to skip over it – except it was $22.95. So you picked it up, because you figured you’d wear it enough times to justify the low price point. 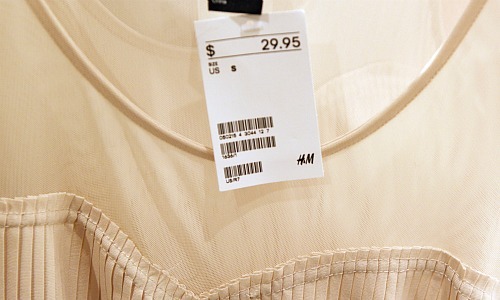 If H&M had a higher stitch count or tried to overdo the quality of their trendier clothing and tacked on an extra fifteen or twenty dollars to that price, they’d sell a fraction of what they do. The other issue with this is that clothing that isn’t made to last as long is problematic from a sustainability perspective – it literally creates more waste and more trash, since consumers are turning over their closet more often. But the industry is changing to reflect customers’ environmental concerns. H&M is launching a new recycling initiative, where customers can turn in used clothes from any H&M retailer for recycling and receive a 15% discount on the item of their choice – kind of like MAC’s container recycling program we discussed in our eco-friendly beauty radar. So how do you know what’s worth paying for and when? Spend most of your time and money building a solid wardrobe with well-made pieces you see yourself wearing for years to come. It’s more sustainable for the environment and your wallet. For more basic pieces you can wear on a daily or weekly basis, shell out the big bucks so you don’t find yourself replacing them every six months. If you absolutely feel the need to indulge in an of-the-moment trend, then feel free to pick up the cheaper version – but don’t expect that piece of clothing to stick around more than a few months.